Forest River Rpod Problems I have been holding off submitting this to the forum until I heard back from the dealer (PoulsboRV) and Forest River. On October 22, 2017 we purchased a brand new 2017 Rpod 180RB for our trip to Palm Springs. I immediately found some things wrong and took it back to PoulsboRV to get fixed before our trip. After taking the unit back to PoulsboRV with problems two times, over several weeks. We were unable to get the work scheduled or have parts in prior to our departure date of 12-14-17. 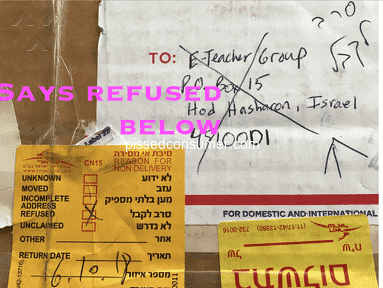 Despite extending our departure date we left with repairs undone and many questions. At this point in time it was either go the way it was or cancel the trip we had been planning for a year AND all reservations were already made and paid for. We went on the trip which, because of the Rpod problems and weather, will forever be remembered as the vacation from ***. We finally cut the vacation short, took our loses, and came home. As soon as we got home I delivered the Rpod back to PoulsboRV for the repair work on 1-12-17. Got word today, 2-2-17, from PoulsboRV (and indirectly from Forest River) that they were finished and we could pick up our Rpod. We picked it up on 2-7-17 with most of the repairs being denied by Forest River and so PoulsboRV refused to fix. Here are the problems that we had and the results & comments. 1: When we got the unit home after purchasing on Oct 22.
it sat in the driveway for 2 days before we had time to start loading it. When I turned the lights on they were dim so I checked the battery voltage and it was 10.4 volts. What the heck! I plugged the shore power in and the built in charger picked up the load. While connected to power I was trying to listen to the AM radio and the noise was so loud the radio was useless. Finally figured out that the "converter" in the unit has so much RF noise that it totally blanks the radio. (This is common in the cheap solid state switching type chargers with poor filtering - OK for battery chargers but not OK for radio because of the noise it generates) With the AC power disconnected the radio was fine. Result: I was told the "converter" was within specs, per FR, so PoulsboRV would not do anything about it. At this point the battery is probably shot and they will not replace it either. I was also told by the service department that the "converter" was known to be faulty by Forest River and had been replaced with a different one. If I wanted the new one I would have to pay for it myself..... On a unit I had used once. I had previously asked PoulsboRV if they could do a load check on the battery as I suspect that with the deep discharge it might be ruined. I was told that I would have to pay for the load test if Forest River would not pay for it. PoulsboRV did not do a battery load test. SOLUTION: On 3/10/17 I replaced the “converter” with a MJF power supply at a cost of $109. The radio now works perfectly and I have a voltmeter and ampmeter on the MFJ. Moving right along. 2: With the power off for the night, having charging all day, the next day the battery was dead again. I traced it to a ½ amp load on the battery ALL THE TIME. There are some house loads that DO NOT GO THROUGH THE DC FUSE BLOCK. The ONLY way to keep the battery from going dead is to disconnect the battery. In a car this would be like not being able to turn your parking lights off…..unless you disconnect the battery. Result: PoulsboRV did not even look at this after telling them about the problem. SOLUTION: I installed a disconnect on the battery. 3: When we got to Palm Springs after a couple of showers my wife questioned where all the water in the bathroom floor was coming from. I removed the inspection plate on the shower stall and the floor was flooded. The next shower my wife took, I was watching the plumbing under the shower and water was running all over the place from the drain piping. Found out that the shower stall was only supported on the edges and while taking a shower it felt like you were on a trampoline. The plumbing is all rigid ABS plumbing which does not tolerate flexing so it was broken. (I GUESS I COULD HAVE JUST CUT A HOLE IN THE FLOOR UNDER THE P-TRAP TO THE OUTSIDE AND THE PROBLEM WOULD BE SOLVED) 4 pieces of 1”x2” in the corner is the total shower support and with the hole for the drain cut in the middle of the plywood it is very unstable. 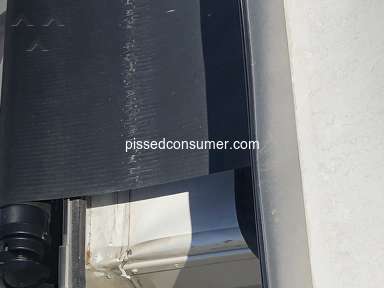 A RV repairman was found in Palm Springs and he replaced all the piping with new AND then added three additional pieces of 2X4 putting them under the shower floor in the center to give it some additional support. This was to get us through the trip. Note: Forest River did pay for this because we were extremely insistent it was their failure and we were 200 miles from the nearest dealer. They initially expected us to take it to a dealer which would mean leaving our paid for RV park, driving 400 miles round trip, and just hoping that the dealer could get us in and could fix the problem. This would of course force us into a motel. Result: After looking at the repair done in Palm Springs, PoulsboRV (not us) wanted to take the shower stall out and reinforce the support. They were told by Forest River that the shower was installed per spec and would not pay for it so PoulsboRV would not do it. SOLUTION: PoulsoboRV did re-replace the fittings ("customer gratis" as they said) as they said it was still leaking (which it wasn’t). I then added 4 more braces under the shower to further steady it up to prevent further damage. I hope this is sufficient. 4: The cord that plugs into the tow vehicle had about 3/4" of the wiring exposed at the plug. Result: PoulsboRV replaced the cord. But why was it sent out this way? 5: All of the pull down night shades were installed crooked. Result: Dealer said they adjusted the shades. But why was it sent out this way? COMMENT: The shades look just as crooked after the adjustment as they did before so they are still crooked and this is unresolved. 6: The brake/tail lights had LED segments that were not working. I noticed this when we took delivery and it was noted by PoulsboRV at that time. They did not have any in stock so I had to leave it till we got home. Result: Lamps were replaced COMMENT: Seems to be OK 7: Just before leaving on our trip, the propane detector started going off and it COULD NOT be silenced nor reset. I had to remove it from the wall and cut the power wire to the unit to silence it. This is one of the loads that do not go through the fuse block and is part of the "phantom load" in the unit. Result: PoulsboRV replaced the unit just before we left. They said FR had gotten some bad units from the manufacturer. They did not comment on the constant load it presents. COMMENT: Battery switch I added solved the problem. 8: The brackets that hold the kitchen Venetian blinds were incorrectly installed as the brackets were installed wider than the blinds. Therefore the blinds could not be secured at the bottom and flopped around. Result: They remounted the bottom brackets. But why was it sent out this way? 9: The factory installed wires that connect to the battery were not crimped properly and were totally corroded and covered with a green corrosion and this was before a battery was even installed in the unit. The battery was installed AFTER we bought the unit from PoulsboRV. COMMENT: Before leaving on the trip I cleaned off the corrosion, re-crimped the wires and soldered the connection. But why was it sent out this way? 10: It was almost impossible to get the propane tank cover off and on. Prior to my taking delivery of the 180 it had deep gouges in the plastic cover which was cutting the plastic deeply when you tried to remove or install the cover, which will be required every time you fill the tank. Result: It was being gouged by the over length bolts that were used to bolt on the plate that holds the pressure regulator. I simply reversed the bolts. Poor Installation. But why was it sent out this way? COMMENT: PoulsboRV decided to replace the torn up cover “gratis” 11: The door stop for the bathroom door was the door knob hitting the mirror mounted on the closet door. VERY POOR design. COMMENTS: To prevent the mirror being broken by the door knob, I mounted a bumper on the bottom of the bath room door so that now it hits the on the floor mounted fire extinguisher instead of the mirror. But why was it sent out this way? 12: I am installing a second battery in the space behind the power panel and converter AND installing a battery switch so I can disconnect the batteries. Looks like the only thing done by Forest River and PoulsboRV was to vacuum the floor that you could see. COMMENT: My wife spent a day cleaning the unit. Imagine delivering a unit in this condition to a customer... VERY POOR consideration for the customer by Forest River and/or PoulsboRV, which ever was supposed to clean the unit. But why was it sent out this way? 14: The hot water is so hot it will scald you. I asked if it could be turned down. Result: I was told by PoulsboRV that they would have to see if Forest River would pay for checking the water temperature... if they wouldn't I would have to pay for that. Today I was told that it was between 120 and 140 degrees that it was with in factory spec so they would not do anything. COMMENT: Still unresolved but one added item. We used the unit for 1 month and the anode in the water heater is over 50% gone. I have purchased a new one which I will put in when we next use the unit. Over the years, and I am 80 so there have been many of them, I have owned; 1 truck/cab-over camper, 1 Scamp trailer, 3 Class B RVs, 2 Class C RVs, 1 Class A, and now this Rpod. Most have had some initial problems but all the dealers made them good with no problems and no arguments. This is the ONLY one of the bunch that I am totally disgusted with. The design and layout is great but the factory craftsmanship is poor, Forest River does not support their customer, and PoulsoboRV will not do ANYTHING on their own. Really great customer service all around don't you think? Before my problems were apparent a friend saw mine just after I brought it home and he purchased an identical unit from PoulsboRV a week later. I just talked to him and he is experiencing some of the same problems I have had. At this point if we could return the unit and get our money back we would. I cannot recommend to anyone the purchase an Rpod, or Forest River product without a warning that you are on your own. I am also very disappointed in the attitude of PoulsboRV. All promises when you buy and abandoned when you need service. WE ARE NOT HAPPY RPOD OWNERS and with all the bent axles being reported I’ll have something else to watch for. Oh goody. I know that from now on I am on my own with any problems with this Rpod and have totally written off Forest River and PoulsboRV. Bottom line: Today I took the 180 to a RV repair shop that has an EXCELLENT reputation who believe that the customer comes first. I’ll let you know how it goes. Product or Service Mentioned: 2017 Forest River R Pod Rp-180 Rv. I didn't like: Customer service and refusal to authorize warranty work. Review #1021995 is a subjective opinion of Bill-J. To have to deal with such nonsense is disgusting. What is happening to America's businesses? I am an RPod 179 owner and have had few problems. I guess I should be grateful. Good luck, hope all goes better for you. thanks for the warning; just reading about the many flaws was exhausting! This is scary.. and definitely has a bearing on our purchasing. Thanks I was also looking at these too. Very close to buying an RPod. Thanks, think I will keep looking. You just saved me a lot of aggravation. I will not be buying one. Thank you! Thank you for taking the time to report on the RPod. I was in the market and actively search for a 180...until now. Apparently quality is lacking and I'll best spend my retirement funds elsewhere. Was going to buy one before reading this. Thanks for the warning. Between the manufactors and dealers, you are at their mercy. Once the rv leaves the lot, you are left to your own means. 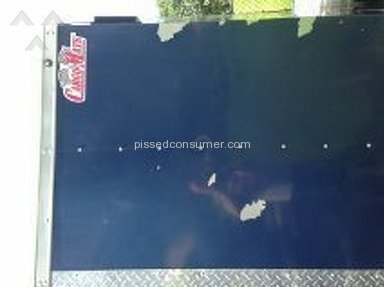 This time we purchased a trailer fairly new where the previous purchaser took the price hit and everything was fully functional. I know that there are millons of complaints. Once the rv leaves the lot, there is no cool down period. We were just about to buy a Forest River from Wilder RV in Port Angeles, we will now go buy a Lance after seeing how bad FR takes care of its customers. THE FOLLOWING SITUATION INVOLVES THE FOREST RIVER R-PODPLEASE PAY CLOSE ATTENTION TO HOW THEY TREATCURRENT AND FORMER CUSTOMERSIn March of 2017, I purchased an RP-180 new from Cheyenne Camping Center in Walcott, Iowa. 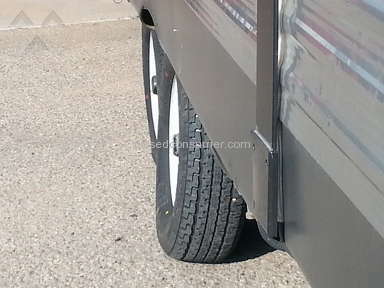 The workmanship of my new R-Pod was by far worse than any of my previous 4 RV's. The dealer prep work was as poor (and dangerous) as I've ever seen (and I bought a NEW Forest River Wolf Pup from the same dealer 9 months earlier….a different disaster)I picked up the R-Pod after going through the required orientation and drove it approximately 60 to my home. This is my timeline--approximately 30 miles down the road, I see a strap fly into the road. It was a safety strap for the batter box that was never put on correctly. 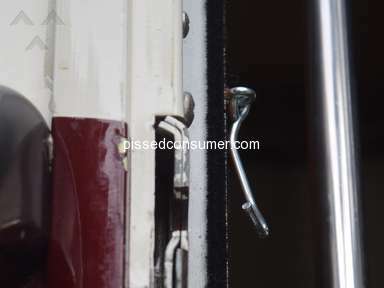 I put a bungee cord on it and continued.-after backing into the drive, I opened the door and two immediate problems jumped out.1.The dealer's prep-tech forgot to attach the straps to both the table and the tv. I called the dealer and they couldn't get me back in immediately. The TV was okay (but lasted only 6 months) and the table slammed into the kitchen cabinets. I got some touchup stain to fill in on the laminate.-I packed up and left for Bull Shoals the next week. I experienced multiple problems upon arrival at Bull Shoals State Park.1.The sewer hose cap had fallen off and the hose had been lost along the way2.The entry door decal came off and ripped the stripe3.The screen door latch was broken and door was out of adjustment4.The outside shower leaked the first night and flooded the floor by running into the sink/cabinet compartment and onto the floor. Laminate was permanently damaged. (Never fixed)5.Water heater would not light on LP. (bad circuit board)6.Converter door would not stay closed. (still flops down)7.Standing water in the bathroom.8.Battery was never grounded and I have had a bad converter since ??? ?FOREST RIVER REFUSED TO LET A MOBILE CREW DIAGNOSE AND REPLACE THE CONVERTER. (I was in Texas and was unable to drive temporarily due to medical conditions)Now- I was stopping for one night in Sam Houston National forest and a limb fell on the top rear of the unit. There was no damage to the bathroom area (inside). The black water tank also fell to the ground when the limb hit. This is the second time that happened and I paid for it the first time because they told me it must have been too full. The angle iron braces weren't bent and I thought that the tank should have been over-engineered, not under so it could handle the 75% capacity in it at the time.TODAY I FIND OUT THAT FOREST RIVER EXPECTS ONE OF THE FOLLOWING (PER THE RESPONSE TO AMERICAN FAMILY INSURANCE)•I WILL BE REQUIRED TO DRIVE TO EITHER SOUTHBEND, INDIANA (1325 MILES) OR UTAH (1474 MILES) FROM ROCKPORT, TEXAS, OR…. MY INSURANCE COMPANY COULD TOTAL IT IF THEY WISH…. ARE YOU SH***ING ME?????????????? Dates are off. Bought in October of 2017 but brought in for warranty work in January of 2017? I do not want a 'PopUp'!! No way!!! Semper Fi! Godspeed!! Shoot.....you shot my dream in the ***!! This is so disheartening. I am sorry for your woes and horrible experiences. We have been looking for an ultra-lite and absolutely love the layout and features of the new 190 rpod, but after reading of your experiences and those of other FR owners, I would not touch one with a ten foot pole. It's really discouraging in this day and age to have to worry about such wretched craftsmanship and customer service. I was looking seriously about buying a Forest River R-Pod 180 because I had heard Forest River was one of the best made travel trailer manufacturers. This review has changed my mind. I will keep dreaming for an Airstream! We actually had the R-Pod at the top of our purchase list, but now it is at the bottom. I don't want to deal with bad quality and poor customer support. Resolved Junk dealer or RV company?